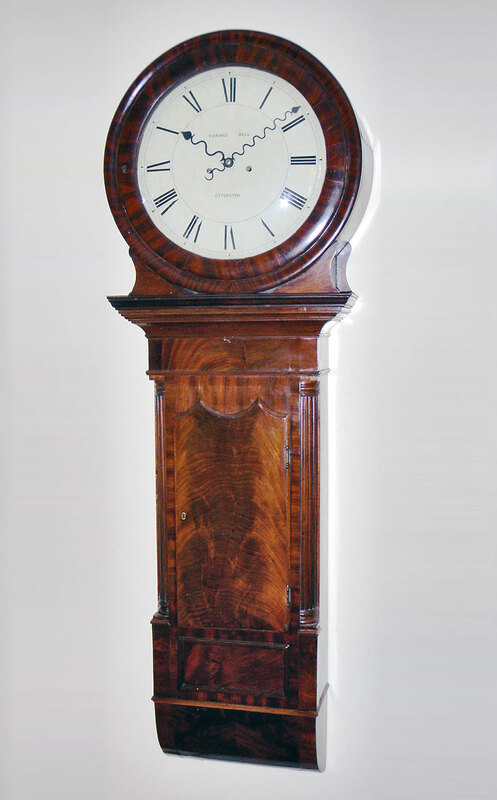 This is a rare striking tavern clock in a fine mahogany case with a painted dial and serpentine hands, signed Edward Bell, Uttoxeter. 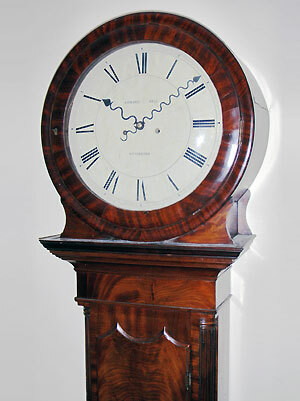 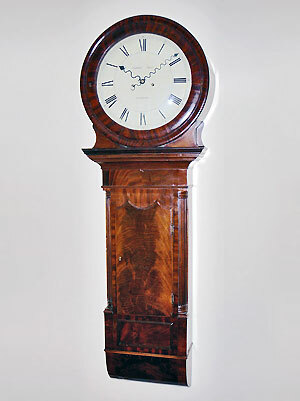 The clock has a bell striking movement of eight days duration. 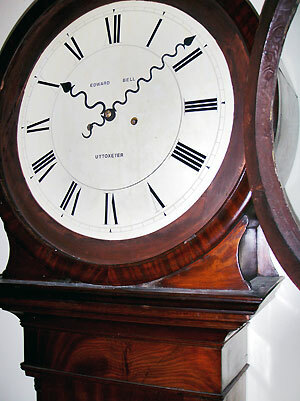 The 15 inch dial has a wooden keylock bezel. 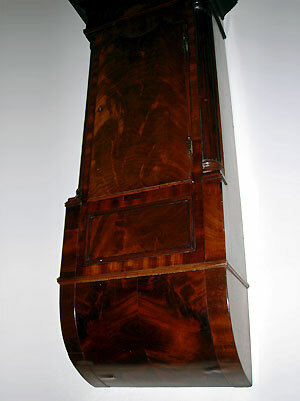 The trunk has a short, shaped door, fluted quarter columns and a curved bottom.